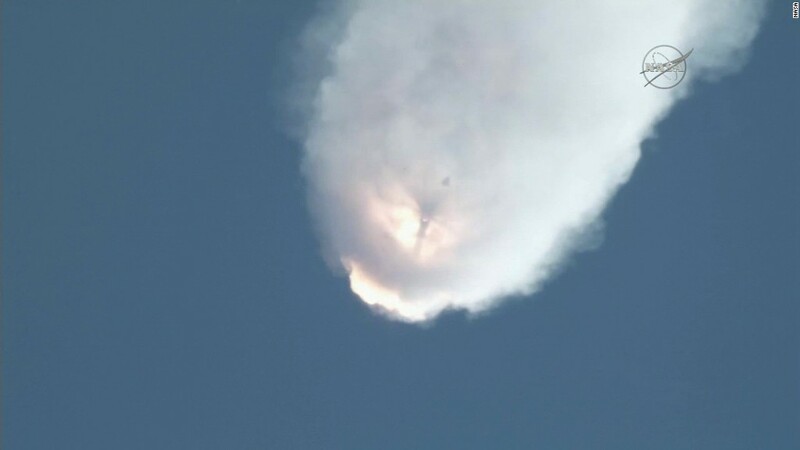 Elon Musk says SpaceX has pinned down what probably caused the company's rocket to explode minutes after liftoff. After reviewing data from the failed mission to the International Space Station, Musk says it looks like a two-foot-long metal bar called a strut failed. The strut was meant to hold down a helium tank in the rocket. When it failed the tank crashed violently around the compartment, leaking gas, which caused an explosive drop in oxygen pressure. SpaceX hasn't launched a mission since the accident, and has lost "hundreds of millions of dollars" in revenue, Musk said on a press call Monday. He doesn't expect to resume flights before the Fall. "We became a little complacent over seven years," Musk said. "But we learned a really important lesson." He explained that the strut is a tiny part of the spaceship that's made by another company, and that SpaceX didn't test it before launch. Instead, the part was certified by a third party to withstand a rocket liftoff. Musk declined to name either the company that made the part or certified it, but he did say that SpaceX will switch to a different strut supplier and will do its own testing from now on. SpaceX makes all of the major components for both the Dragon spacecraft, and the Falcon 9 rocket that propels it, in house. But even the smallest weak link can cause disaster. Though the flight was unmanned, more than two tons of research equipment, provisions for the ISS crew and hardware for the space station were lost in the explosion. SpaceX has made 6 successful trips to resupply the ISS over the past four years under a $1.6 billion contract with NASA. Musk's spaceship was the first commercial vehicle to ever travel to the space station. The Tesla (TSLA) CEO, who started SpaceX in 2002, also said that last month's mishap will not keep SpaceX from pursuing a renewed contract with NASA, which has invested $5 billion in SpaceX. Just last September, NASA gave the company $2.6 billion to prep Dragon for a mission manned by NASA astronauts. Correction: An earlier version of this article incorrectly stated how much funding NASA has given to SpaceX and how many resupply trips SpaceX has made to the International Space Station.